Iranian Deputy Foreign Minister Abbas Araghchi recently visited Kabul to discuss recent efforts towards peace in Afghanistan. Though the Afghan Ministry of Foreign Affairs hasn’t provided any details of the meeting, the visit is indicative of an Iranian effort to maintain relations with the Afghan government as the government negotiates with the Taliban. Furthermore, the secretary of the Iranian Supreme National Security Council, Ali Shamkhani, has confirmed that Tehran and the Taliban were previously engaged in direct talks. On December 31, the Iranian government confirmed that a Taliban delegation had visited Iran for another round of negotiations. Tehran is not only hedging by maintaining a dialogue with the radical extremist group; it’s assuming the role of a disruptor in the peace process to ensure its interests are secured in the ongoing negotiations between the United States and a select group of regional stakeholders. While the U.S. includes Pakistan, Saudi Arabia, and the United Arab Emirates in its deliberations, it is excluding key stakeholders—Afghanistan, Iran, and India. The Iranian government justifies its disruptive involvement by citing “legitimate concerns” regarding the rise of militant extremist groups in Afghanistan. Tehran previously adopted a similar approach in its engagements with Islamabad, which provides aid and haven to the Taliban. Iran’s willingness to engage with the Taliban is not unprecedented—the relationship dates back to 1994 when the Taliban was under the leadership of Mullah Omar. Relations continued under Omar’s successor, Akhtar Mansoor, who was killed in May of 2016 while returning to Pakistan after visiting Iran. According to his Pakistani passport, Mansoor spent two months in Iran before being targeted by a U.S. drone strike on the highway leading into Pakistan from the country’s Iranian border. Tehran does not want to sever ties with the Afghan Government while simultaneously maintaining a relationship with a resurgent Taliban, which is in control of more territory than at any time since 2001. Tehran considers the rise of militant Islamic extremist groups to be a key “legitimate concern,” along with the threat of a Taliban takeover of the Afghan government and the illegal drug trade originating in Afghanistan. Keeping Afghanistan in a perpetual state of instability guarantees the flow of Afghan surface waters to Iran, and ensures a steady stream of black market U.S. dollars into the Iranian economy. Ensuring the continued flow of surface water from Afghanistan to Iran is a crucial priority for Tehran. The Afghan government recently opened the Salma Dam, which was constructed with financial support from India. Following in dam’s inauguration, Tehran increased support for the Taliban insurgency in provinces of Western Farah and Herat to disrupt any further dam development of dams on the Afghan side of the Afghanistan-Iran border along the Helmand river. In late 2018, Farah City was overrun by the Taliban—despite public outcry from the local population over Iranian support for the Taliban in Western Farah province, which lies along the Helmand river. A single water agreement exists between Iran and Afghanistan; a 1973 treaty provides Iran with 820 million cubic meters of water annually. Iran has been hit with regular water shortages, leading Tehran to protest plans to construct dams along the Helmand river intended to increase Afghanistan’s agricultural capacity to approximately $20 billion (U.S.). Iranian engagement with the Taliban facilitates ongoing instability along the Afghanistan-Iran border, which provides an illegal route for Iran to import U.S. dollars from merchants in the Herat and Farah provinces. As the Iranian currency continues to depreciate against the dollar, Tehran’s interest in sustaining this black market source of hard currency will grow. The rise of Salafi extremist groups—facilitated with support from Gulf states—is another phenomenon motivating Iran to engage with the Taliban. Iranian overtures to the Taliban are an effort to ensure militant Islamist ideology imported into Afghanistan does not flow to Iran. Russia exhibited similar concerns when the Kremlin claimed that “Daesh [Islamic State] imported into Afghanistan” had expanded over Northern Faryab and Jawzjan provinces along the Afghan border with Tajikistan, Uzbekistan, and Turkmenistan. Russia reportedly met with Taliban representatives to negotiate a settlement agreement, as well as coordinate efforts to block and topple any Daesh activity in Afghanistan’s Northern provinces. Beyond fomenting ongoing insecurity within Afghanistan, Iran’s Revolutionary Guard has been training Afghan refugees as Fatemiyoun mercenaries to fight against Daesh in Syria in support of the Assad regime. Thousands of vulnerable refugees who are devout Shias have joined the Fatemiyoun ranks to change their families’ legal status as refugees in Iran. They had reportedly returned to Afghanistan to counter Salafi extremism activity alongside the Taliban and combat militant Islamist activity in the western region of Afghanistan on behalf of the Revolutionary Guard. Iran’s cooperation with a hardline Sunni extremist group like the Taliban group to counter threats to its interests in Afghanistan is a dangerous strategy. Going forward, Iran must act strategically; history has proven that engagement with the Taliban along with the selective use of terrorism will not achieve the end-result Tehran is expecting. The Iranian government must respect Afghanistan’s sovereignty, recognize the Afghan state, and develop a bilateral relationship based on culture, trade, and legitimate interests for Tehran within a stable Afghanistan. In a stable Afghanistan, a priority for Tehran should be increasing trade between the two countries. Trade between Iran and Afghanistan is valued between two and three billion dollars annually. Afghanistan is the fourth-largest importer of goods from Iran, which is suffering from crippling U.S. sanctions. Between March and August of 2018, Iran exported over $1.43 billion worth of goods. Iran has a role as a responsible stakeholder in the growth of the Afghan economy. Therefore, the U.S. has exempted Afghanistan from Iran sanctions. The strategic Chabahar port is one way of improving Iranian trade ties with Afghanistan. Chabahar port, which provides Afghanistan access to seaborne trade routes, decreasing Afghanistan’s dependency on Pakistan. Moreover, a renewed water agreement could serve the interests both sides in addressing persistent water shortages while increasing Afghan-Iranian agricultural-based trade. Iran must play the role of a good neighbor to Afghanistan; the latter has never posited a threat to Iranian national security. Iranian concern over the activities of Salafi extremist groups in Afghanistan is a legitimate one, however bypassing the Afghan Government in favor of non-state actors will not alleviate this concern, however justified. An Afghan Institute for Strategic Studies research finding shows that a majority of the Afghan elite (between 57 and 66.4 percent) has expressed satisfaction with Iran’s social, religious, and economic policies. 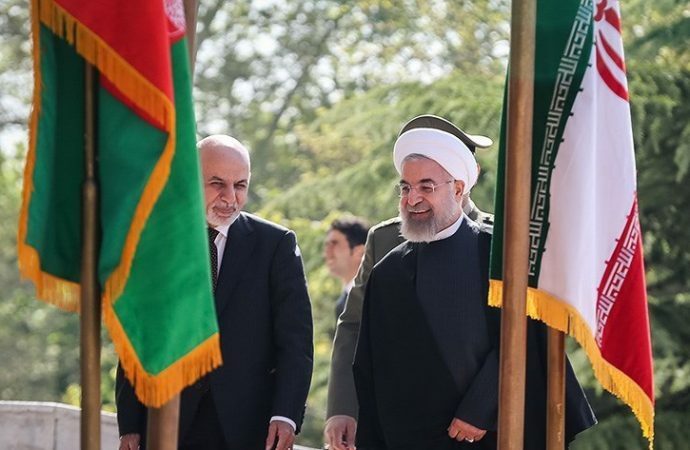 However, the same survey findings show that 55 percent of the Afghan elite have expressed dissatisfaction towards the Islamic Republic of Iran’s political and security policies as they relate to Afghanistan. 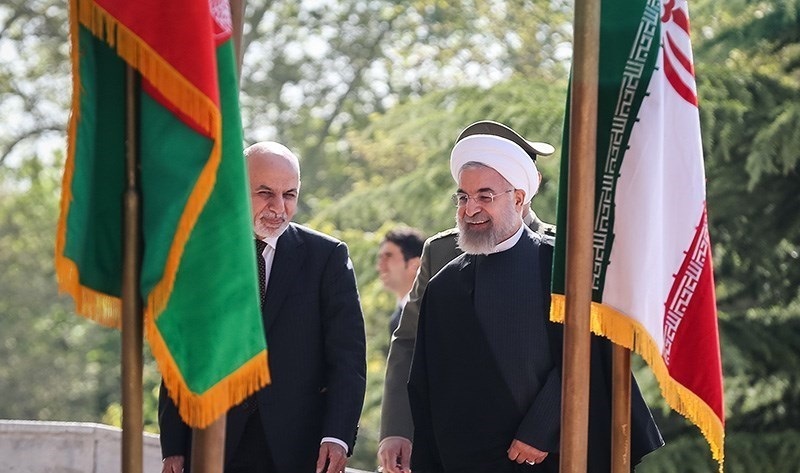 Iran has a role in the Afghan peace process, but it must act in good faith.